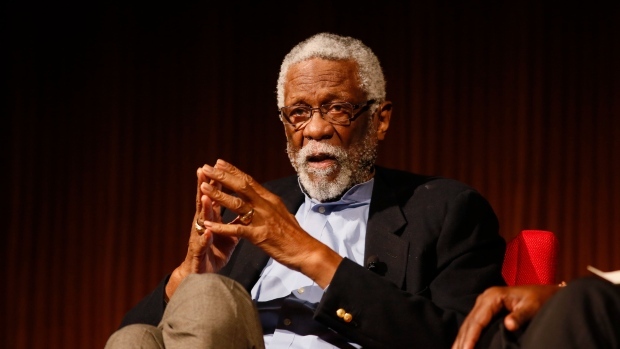 SEATTLE — Basketball Hall of Famer Bill Russell was released from a Seattle hospital Saturday after an overnight stay for an unknown condition. "Yeah, that was obviously scary news and happy to hear that he's doing better and he's been released from the hospital," Stevens said in Cleveland before Game 3 of the Eastern Conference finals. "He's the ultimate basketball winner. The way he impacted winning, the unselfishness of a teammate, what he stood for off the floor — everything about him. It's an honour to get a chance to work for the Celtics. Those teams and those people from those teams — and obviously Bill Russell being one of those main people in Celtics history — are why it's an honour to work for them, because of the bar they set for all of us."